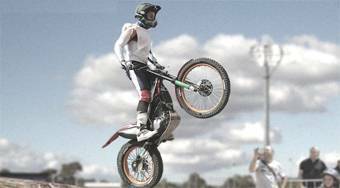 Do you like Moto Trial Germany? Share it with your friends. Moto Trial Germany - ride on the motocross bike without falling throughout the race track full of obstacles to the finish as quickly as possible.